While your tires are designed to handle a number of different road conditions, they’re not invincible. In order to get the most out of your tires, you should drive carefully when weather conditions change the surface of the road. Here, we’ll share some tips to make sure you stay safe behind the wheel – rain or shine! These are high performance tires designed to take on the rigors of high speed. While racing tires with slicks maximize traction and are ideal for dry conditions, rain tires have grooves to allow water to pass through. The average car owner needs a pair of tires that provide good grip and wear out more slowly. If you live in a hot climate and want your tires to last longer, look for tires with harder rubber. 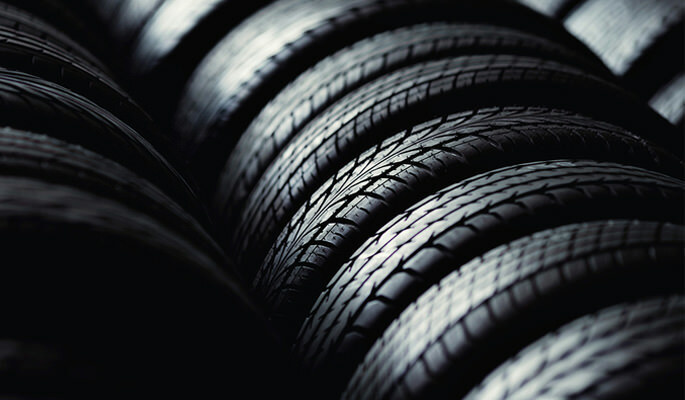 As you might have guessed, there are also tires made for different temperature conditions. Pirelli tires, for example, offer excellent traction but are generally softer and wear out quicker than other brands - in racing conditions, this is not too problematic since the pit crew can change out the tires. These tires works very well in areas where weather and road conditions aren’t harsh. If your neighborhood is filled with potholes, you’ll want to invest in high profile tires that absorb impact and save your rims! If you live in a place where it rains a lot, you’ll want severe grooves on your tires for maximum traction. However, you should try to switch to high traction tires under dry conditions. You’ll have to decide what works best for your needs – but in the end, you want tires that will work well under your region’s weather conditions and terrain! ScopioneUSA has the aftermarket carbon fiber auto parts and car accessories for your needs. With competitive prices and a wide selection of carbon fibre parts to choose from, ScopioneUSA can tailor to your vehicle. Carbon fiber is definitely making grounds, thanks to its exceptional qualities. While only weighing a fraction the amount of steel, it is stronger and more impact resistant! At ScopioneUSA, we offer carbon fiber bumpers, grilles, spoilers, as well as accessories for the hood, lip, and trunk. Take a look, and browse around – you’ll find a great variety of affordable carbon fiber parts!